We, the undersigned, would like to underline the strong part of the Strategy for the Western Balkans with the emphasis to the rule of law and topics that civil society strongly advocates, which need to be significantly strengthened, and which are directly related to the impunity and inequality among citizens. National Convention on the EU, being the organization that covers the EU integrations of Serbia, with contacts with our counterparts in the WB countries and regional research conducted, as well as after analyzing new European Commission reports for designated countries of the WB gives us good view in the regional policies, joint actions needed and similar challenges that stand before each of the countries now striving towards EU. Namely, report of the European Commission for Serbia and other five countries give us the good overview of the need to reinforce the rule of law and to invest more energy into fight for new protection mechanisms and preserving existing standards. – Efficient functioning of the democratic institutions and good governance with support to strong institutions reliable and responsible to citizens of the WB countries with special focus to independent institutions. Following processes of reforms that have strong support of the civil society, National Convention started its mission of monitoring the EU integration process, supporting it and giving the clear picture of challenges along that road. Our work consists of monitoring and advocating for stronger improvements on a national level, as well as informing EU and other international institutions on the current situation and suggesting possible solutions and next steps. – efficiency of the implementation of the adopted laws and policies by each of the aforementioned countries. It is our joined duty to help our countries and all the citizens involved to understand the EU process and to rightfully decide that the place of our countries is in the EU. We are strongly convinced that we are not better or worst then other European nations. At the end of the day, the citizens are those who will give the final YES or NO answer on the referendum for accession and by that time, it is our job to help them understand the situation to the best of our abilities. Competition within the region of the WB on implementing the principles and rights should be supported by the EU, thus leading to the creation of the vibrant region, reconciliation and overcoming the challenges from the past. 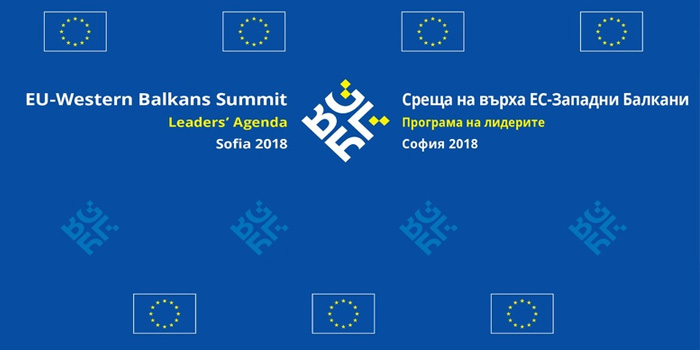 Sofia Summit should be seen also as the reinforcement of the EU integration processes of the Western Balkans and this letter is directed to reiterating to the fundamental values as a need of both the EU and WB countries. 100 years from the termination of the World War One, Europe has strength and potential to lay the foundation for the long-lasting peace in both the Balkans and the rest of Europe, overturning the visible tendencies and early warning signs leading to the captured states.